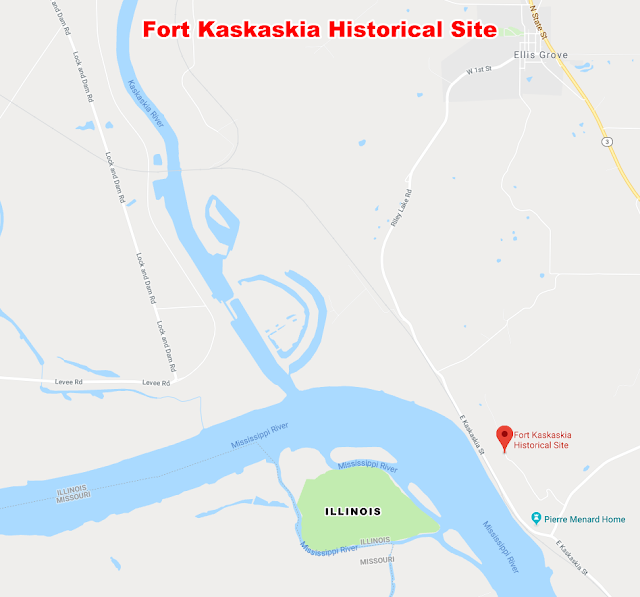 The Digital Research Library of Illinois History Journal™: The History of Fort Kaskaskia, also known as Fort of the Kaskasquias and Fort Gage. The History of Fort Kaskaskia, also known as Fort of the Kaskasquias and Fort Gage. Fort Kaskaskia was first established by the French in 1733. First erected as a rough wooden stockade by the French in 1733 and known as "Fort of the Kaskasquias." A more substantial fortification was built in 1759 by the French during French & Indian War that included a heavy stockade with four blockhouses at the corners. This incarnation of the fort was named Fort Kaskaskia and it remained until destroyed in 1766 by the citizens of Kaskaskia to prevent British occupation. In 1772 the British were forced to leave their headquarters at Fort de Chartres because it was eroding into the Mississippi River (the Indians called the Mississippi River, "Sinnissippi," meaning "rocky waters") and they chose to fortify the old Jesuit 1703 stone-built French Seminary was fortified at Kaskaskia. Named "Fort Gage" in honor of General Thomas Gage. The British occupied the area until they were ordered to withdraw to Fort Detroit in 1776. View of the Mississippi from the Fort. The original town site was obliterated in floods of 1844, 1881 and 1910. 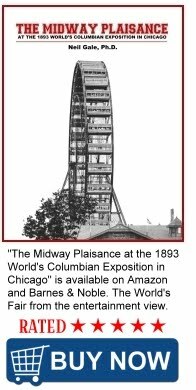 The flood of 1881 resulted in the town being located on the west side of the Mississippi River. The fort itself, however, is still located on the east side of the river. 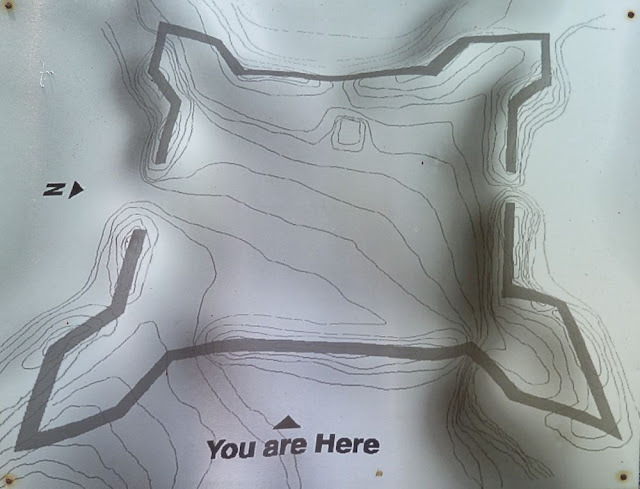 The remains of Fort Kaskaskia include the outline of long earthworks forming a rough square, with bastions at the corners which is a part of Fort Kaskaskia State Historic Site, Ellis Grove, Randolph County, Illinois. In the flood of April 1881 the Mississippi divided its channel and broke into the lower Kaskaskia River below this bluff forming Kaskaskia Island. The historic town of Kaskaskia lay directly in its path, and was eventually destroyed. Thus the role played by Kaskaskia in the great drama of history closed in tragedy.